In the last post, What is WordPress, I gave a brief overview of what WordPress is as a CMS platform. However, I wanted to give readers a good set of thing to consider about why a WordPress based website is better for them now and in the future. WordPress is by far the most popular content management system on the planet. It is responsible for over 60% of the sites that use CMS. It powers 1 of 5 sites on the internet. and It is uses as the ground work for over 100,000 new websites everyday. So what does that mean for you and your site? Tons of things. WordPress is a free, open source system. So no first cost for the service. It gets updated and upgraded free. Which means it is extremely low maintenance. At most a couple clicks in the admin panel. All in all, WordPress itself costs nothing. Since there is no official owner of WordPress, there are 100s of thousands of developers around the world. This makes it constantly under development. The 24/7 development is what leads to the free upgrades. By the end the only costs are themes and hosting. So you have to pay for hosting? Good news, if you already have a site, then you have hosting. Bam, base covered. Don’t worry, if you don’t have hosting, you are not screwed either. Many major hosting providers offer easy WordPress installs, and some even have dedicated WordPress hosting plans. As a bonus, WordPress can’t held hostage like an HTML site. It is easy to move to a new hosting provider if you need to. WordPress has 4x as many enhancements as developers. Themes, plugins, and CSS are all you need to create a site as beautiful and capable as you would ever need. Remember some of the biggest media outlets and corporations use WordPress, so it is easy to imagine that it can easily meet your needs. There are thousands of themes out there to use, both free and premium. There are greater customization options with premium themes based on you price range. Extensions that Make a Hairdresser Jealous (Plugins). Since WordPress has gained immense popularity, it’s not surprising that a lot there are 100s plugins. They extend the core functionality of your website and save development time (which saves you money). There are plugins to handle everything from corporate level task management and organization to weather on a site page. The reach of possibilities is endless. With constant development, themes, and plugins, WordPress if very organic. It can start as a basic core website and continue to evolves and travel in any direction you choose. It is a great place to continue to adapt with the ever-changing world we live in. WordPress even has multi-site abilities. If you business needs a website for each department, or perhaps several sites linked together under one parent person or business, you have to abilities to do that with WordPress. Many membership sites use this system to support a number of websites easily and effectively. Wanna come up in a google search? WordPress makes it easy to add SEO (Search Engine Optimization.) Some themes have built-in SEO options. If the site doesn’t have SEO options, there are many plugins that exist. I prefer SEO by Yoast or All-in-one SEO. They are the two most used SEO plugins on the planet.Both integrate easily with Google Analytics and Google’s Webmaster Tools as well. WordPress is Mature and Experienced. With over 10 years of life under it’s belt, WordPress has undergone all the changes it needed to, and refine itself to a powerful clean system. That, along with the constant development, means that rarely do issues arise. If they do, they get solved in a very short period. 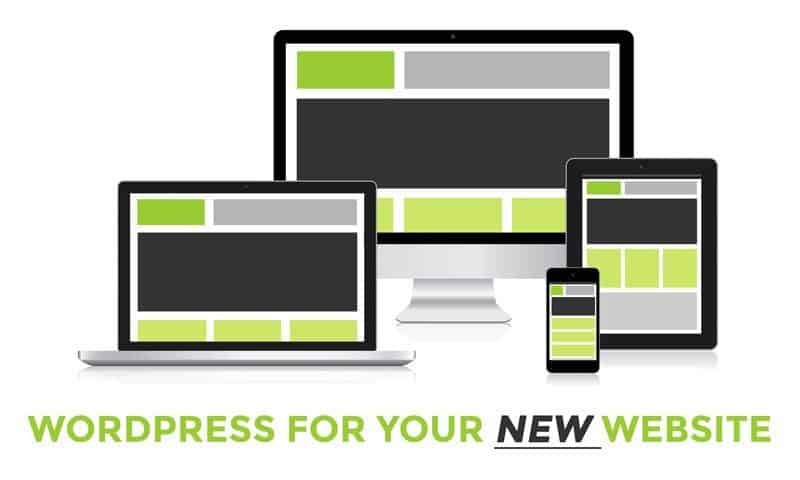 Many WordPress themes have built-in responsive (mobile friendly) design. Since most of the world’s website viewing is on mobile devices, this is a NECESSITY for people and businesses of any level. The WordPress admin area is also completely responsive so you can make a mandatory updates from you phone. WordPress has many linguistically features. Managing various sites in a variety of languages and time zones is a piece of cake. This is great if you have international business, or are in a region where languages are very diverse. WordPress is for sites that get millions of views per day. Some of them are Smashing Magazine, CNN, and even MTV. Overall, WordPress is a monster system with a deadly capacity for growth. it maybe exactly what you need to take you business to the next level. Need help with the switch over to a WordPress site? Want to improve an existing WordPress site? Contact Mr. D Studios today for a no-obligation conversation at 412.770.8512 or through the contact page.